Minority Rights Group International (MRG) welcomes the recent decision of the High Court of Gitega in Burundi to enforce a1975 judgment restoring land ownership to a Batwa family. In the 1930s, a large tract of land in the Mutaho area of Gitega province was given to a member of the Bahakwaninda Batwa family by a traditional leader. This was in line with practices on land distribution where chiefs could allocate land to individuals in communities upon request. However, in the 1960s, a neighbouring non-Batwa family called Gashanga took some of the land and refused to return it. In 1970, the Bahakwaninda family filed a case claiming ownership of the land and requested the justice system to order the eviction of the other family from the contested land. In 1975, the Bahakwaninda family won the case on appeal before the Gitega provincial court, but the ruling was never enforced, and the family suffered intimidation and harassment when they tried to re-occupy and use the land in line with the ruling. In 2005 the case was referred to the Gitega High Court in order to obtain enforcement of the 1975 judgment. The Court ordered the Residence Court in the Mutaho area of Gitega, where the contested land is found, to execute the judgment in accordance with the 1975 ruling. However, at some point in 2006, political influence by the Gashanga family persuaded the Gitega High Court to re-open the case, contrary to court procedure. Subsequently the previous judgment was reversed in complete contravention of Burundi law and procedure. 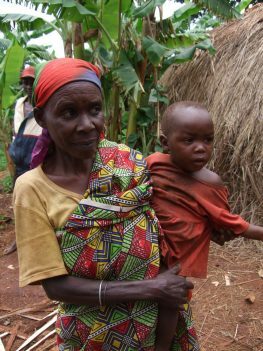 In 2008, the Bahakwaninda family brought the case to the Supreme Court of Burundi, challenging the recent proceedings on the basis of non-compliance with the 1975 judgment. The case has remained pending since then. In 2011, MRG and local organization Unissons nous pour la Promotion des Batwa (UNIPROBA), brought a case before the African Commission on Human and Peoples’ Rights claiming, amongst other things, lack of access to justice and an effective remedy due to procedural irregularities, delay and non-execution of judgments, difficulties experienced due to being of the Batwa ethnicity, and inability to freely access their land and resources. In September 2016 a delegation from the High Court of Gitega, the Ministry of Justice, UNIPROBA and representatives of the Bahakwaninda and Gashanga families, inspected the land and listened to witnesses on the ground. Subsequently the Court ruled that the Gashanga family should vacate the land, remove all their belongings from the property within one year, all crops within six months, and that the Bahakwaninda family should have full enjoyment of their right to the entire property. ‘When we were shown the judgment we were delighted to see the Batwa family had won the case. This is an extraordinary exception for the Batwa community, and frankly, one of the rarest cases that UNIPROBA has ever come across,’ says Vital Bambanze, Director of UNIPROBA. Batwa are a forest people recognised as being the first inhabitants of the land. They are traditionally a hunter gatherer community. They represent some of the poorest and most vulnerable minority groups in the Great Lakes region and live in Rwanda, Burundi, Democratic Republic of Congo and Uganda. Burundi is at number 22 on MRG’s People under Threat 2016 global survey, which ranks countries where communities are most under threat of mass killing or genocide.